Rachel grew up in Shreveport and has recently returned as the pastor at Summer Grove. She loves drinking coffee, playing with her dogs Scout & Dodger, and watching a good movie. She believes there are few things in life that can top a good story! Rachel is excited for all that God has in store for her, the church, and the Summer Grove community. For occassional thoughts from Rev. Rachel, CLICK HERE to read her blog! Janice has worked at the church for 26 years. She and her husband enjoy cruising in their 1975 Corvette. She has a heart for helping and serving others including the 4-legged kind. 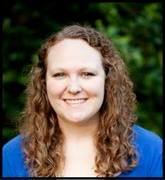 "Caressa is a Child Development Specialist graduate from Louisiana Tech University. She is passionate about being an advocate for those without a voice including children and animals. A good meal is the sure way to her heart, and if there is a funny movie or one that makes you shed a tear or two, then she is in heaven."